Home Again is a comedy / drama / romance that’s written and directed by Hallie Meyers-Shyer; daughter of popular romantic comedy filmmaker Nancy Meyers (It’s Complicated (2009), Something’s Gotta Give (2003), The Holiday (2006), etc). The reason I was drawn to this film is simple, Reese Witherspoon and the chance to see her in a fun-(ish) movie. By the end of Meyers-Shyer’s story about an LA single mother, whose life takes an unexpected turn when she allows three young guys to move in with her, I was left wanting. I found myself feeling as though absolutely nothing had happened in the movie, even though I’d just sat and watched it for 1.5 hours. I promise that I’m not deliberately trying to sound like a stereotypically male film fan who doesn’t like romantic comedies because ‘nothing happens.’ in them. There’s very little that’s memorable or particularly noteworthy to report. I definitely did not love this movie. I also wouldn’t say I hate it. I simply wish it were better. If I tried to think especially hard about what’s good about Home Again, I’d say that I enjoyed looking at sunny LA, especially since at time of writing, I’m personally in the midst of an annoyingly grey winter. I may add also add that I was inspired by the positive attitude of Witherspoon’s character’s love interest. Lastly, I might say that I didn’t completely dislike some of the sweet / touching moments in this film. What kind of person hates a touch moment after all? All in all, Home Again is quite forgettable. Perhaps watch it if I’ve somehow sold it to you – which I doubt. I just really want to see this because I like Reece Witherspoon and it would be good to see her in a more fun(ish) movie, this one being a comedy / drama / romance. Written and directed by Nancy Meyers, the person behind other popular and well executed comedies such as The Holiday (2006) and Something’s Gotta Give (2003), I had high hopes for The Intern. 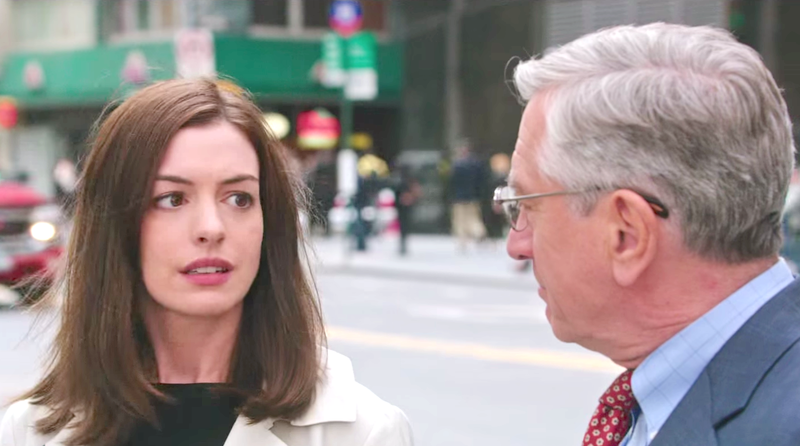 Starring Robert De Niro and Anne Hathaway, my favourite thing about Meyers’ movie has to be the story of the unexpected friendship between De Niro’s senior intern character and the successful, young online fashion business founder played by Hathaway. A big part of what makes the relationship between the two main characters great to watch is De Niro’s portrayal of Ben, the comic timing and particularly the kind of person Ben represents. An inspiring story of young people in charge doing what they love and doing it well is also what The Intern is about. I tuned in because the mood for a good light comedy struck and good is definitely what I found. If you were after more reasons to watch, there’s the New York City setting, good soundtrack and the other cast members. Zack Pearlman’s character, Davis is particularly fun. Adam DeVine, Christina Scherer, Anders Holm, Rene Russo and JoJo Kushner also star. Ashby is the kind of movie I tune into for some light entertainment – and yes, I was somewhat adequately entertained, I guess. Though mostly by Sarah Silverman’s character. She had the most fun dialogue. Nat Wolff did a good job with his outsider role and he too has a few fun lines. The best moment in the movie for me has to be the scene towards the end between Mickey Rourke’s Ashby and Father Ted. The dialogue, delivery and emotion was just right. Overall, I would have had a lot more fun if Ashby had focused more on Rourke’s story at the expense of a few of the other characters. Clearly that would make for a completely different movie so I guess my point is, something about Ashby and all the other character’s stories just didn’t quite come together particularly well. Watch it only if you absolutely must. Also, Mickey Rourke’s smarter outfits are rather nice – so there’s that. I didn’t write about the first trailer because it didn’t have me excited. But the latest one is definitely preferable. It’s the young female entrepreneur element that appeals to me most. That and the generally trustworthy cast that includes Rene Russo. 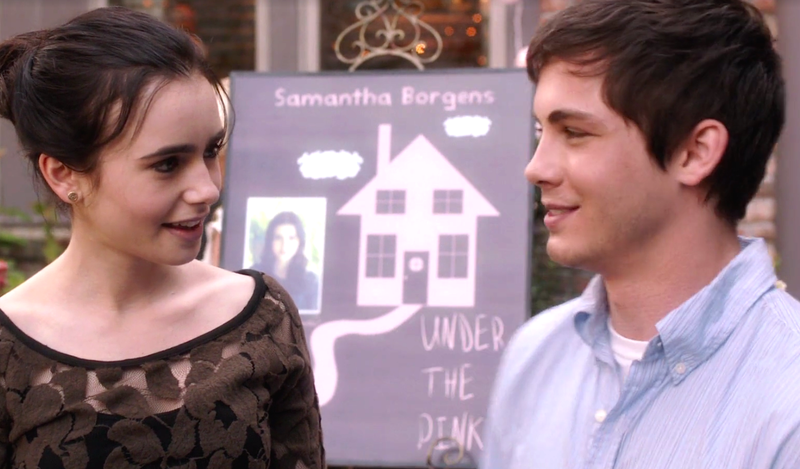 Written / directed by Josh Boone and starring talent that includes Greg Kinnear, Jennifer Connelly, Lilly Collins, Kristen Bell, Logan Lerman and Nat Wolff; Stuck In Love is a well acted family drama. Watch it for a look into a year in the life of a family that consists of a successful Writer, his ex wife, their teenage children and particularly how all parties navigate through their own experiences of love. This movie is definitely not too emotionally taxing. Actually… that may depend on how closely you relate to the character you identify with the most. Still, overall it’s a pleasant watch. There’s also potential value for any Writers/ aspiring Writers and anyone generally curious about other families. I know I always am. My favourite part is all the scenes Kristen Bell is in because her fun character is unlike any I’ve ever seen her play before.